Mori monastery in Luchu (in Chinese, Luqu) county in the Gansu province's Kanlho (Gannan) Tibetan Autonomous Prefecture in an undated photo. A Tibetan monk has burned himself to death near a monastery in northwestern China's Gansu province in the latest self immolation protest challenging Chinese rule, exile sources said Thursday, citing local contacts. In the latest move, sources told RFA's Tibetan Service this week that Chinese authorities are circulating a new list of 13 “unlawful” behaviors in a protest-hit Tibetan county in China’s northwestern Qinghai province, warning Tibetans against involvement in self-immolation protests and a range of other activities deemed supportive of challenges to Chinese rule. An undated document listing the restricted behaviors, including filming self-immolation protests and seeking welfare donations, has been disseminated in all towns and villages of Rebgong (in Chinese, Tongren) county in Qinghai’s Malho (Huangnan) Tibetan Autonomous Prefecture, the sources said. 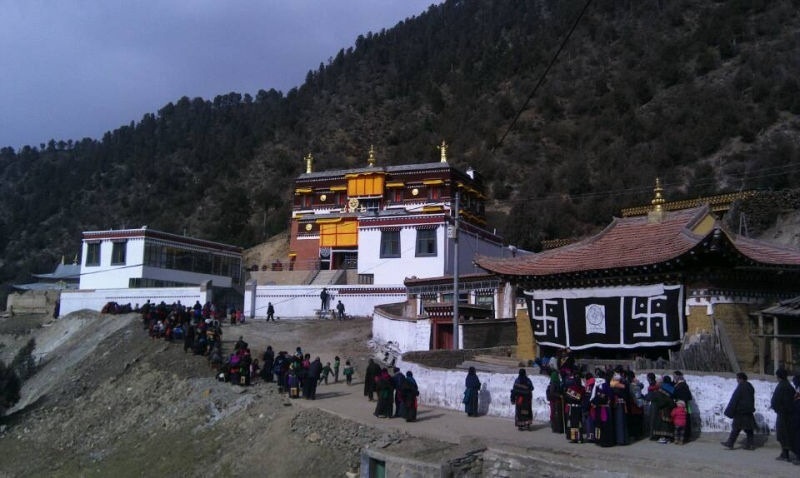 Activities now forbidden include fundraising “in the name of social welfare,” urging protection of the environment or the Tibetan language, and conducting prayer rituals or other religious ceremonies if these carry “overtones” of support for Tibetan independence. Reported by RFA's Tibetan Service. Translated by Karma Dorjee and Dorjee Damdul. Written in English by Parameswaran Ponnudurai and Richard Finney.